Why did Tulfo curse such the man? Well it is because the COA released a biased report, despite PTV-4 having submitted all documents that ensures the legality of Ben Tulfo’s Bitag Media Unlimited Inc. P60-million ad contract with Department of Tourism Secretary Wanda Teo. The ads were to be aired during the block timer “Kilos Pronto” which would promote tourism around the country yet instead it promoted controversy. 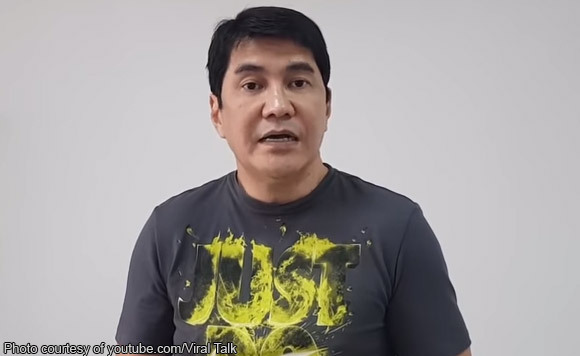 “Binigay na lahat ng papel at breakdown nandoon na, ano pa ba and ‘di niyo maintindihan putang ina niyo, Commission on Audit?” Said Erwin Tulfo. The broadcaster directed his fury at the Chair of the COA stating that he is but another lackey, like Chief Justice Ma. Lourdes Sereno and Ombudsman Conchita Carpio-Morales, that covers up the devastation that the administration of the former President Benigno Aquino III’s created. The broadcaster’s agitated caused by the sins of the Chair is justified for it is completely unrighteous to publicize the information on such a serious and sensitive case without considering and including all documentation. What Aguinaldo did was indeed an act that mirrors his either bias or lack thereof responsibility and by extension right as chair of the COA.